In Nursery and Reception we follow the Statutory Framework for the Early Years Foundation Stage. At the end of Reception, each child will be assessed against 17 key areas called the Early Learning Goals (ELG’s). 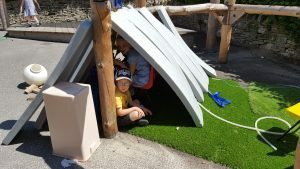 This is known as the Early Years Foundation Stage (EYFS) Profile. For each early learning goal, practitioners must judge whether a child is meetingÂ the level of development expected at the end of the Reception year (expected), exceeding this level (exceeding), or not yet reaching this level (emerging). The completed EYFS Profile also includes a short commentary on each child’s skills and abilities in relation to the three key characteristics of effective learning. This will support future curriculum planning and will provide the Year 1 teacher with important information about each child’s approach to learning. 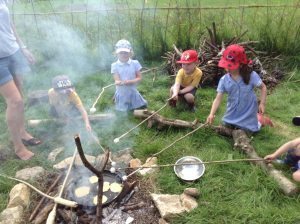 Minchinhampton Church of England Primary Academy works under the umbrella of the Diocese of Gloucester Academy Trust. The school’s Governors, staff, parents, PTA and pupils have worked hard to make the school a most successful, secure and happy place for our children. If you would like any further information or to arrange a visit, please contact the school office.